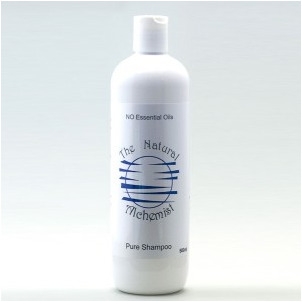 This shampoo is formulated with those of you who may be sensitive to essential oils or those who have naturally oily hair. 100% natural it won't harm you or the environment. See more info. Wonderful to use, it will gently clean your hair without stripping hair of its condition. Totally natural with NO surfactants or petrochemicals of any kind, use with our Pure Rinse and Conditioning oil for healthy hair that looking and feeling great. Both are suitable for children and adults. Ingredients: Distilled water, castile soap, vegetable glycerine, aloe vera. All ingredients is pure and natural.